“On polling day 2010, I warned voters had a stark choice. Vote Labour and risk following riot-torn Greece into bankruptcy. Or pick the Tories to clean up the mess. Today, five challenging years later, Greece is technically bust, crushed by the misbegotten euro and nursing a jobless generation who may never work again. 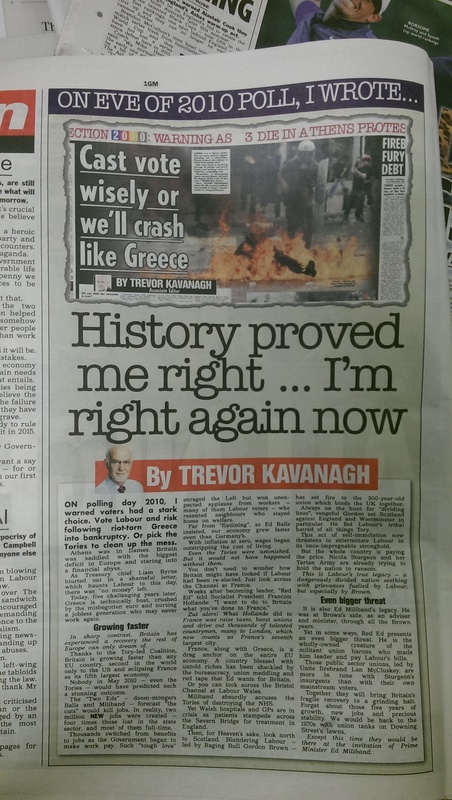 Kavanagh is not only wrong to compare Britain with Greece now – he was wrong five years ago too. The biggest single reason is even contained in his piece itself: Britain is not a part of the Eurozone. “Greece is now seen as it should have been seen from the beginning – as a unique case, with few lessons for the rest of us. It is impossible for countries such as the US and the UK, which borrow in their own currencies, to experience Greek-style crises, because they cannot run out of money – they can always print more. In other words, Britain has a central bank of its own – the Bank of England – and can control its monetary policy. If the European Central Bank won’t act as lender of last resort for the Greek economy, it has no-where else to turn. To repeat: ‘it is impossible’ for us to suffer the same problem when we control our own currency. The comparison is absurd for other reasons. For one thing, the UK did not see the massive corruption and misuse of public money that plagued Greece. 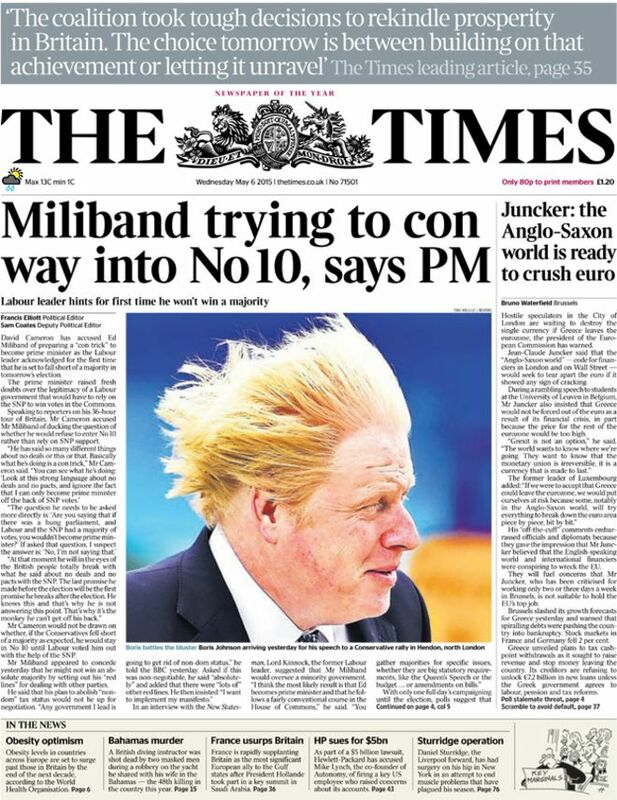 Not even the most fevered or dishonest Tory has made this accusation. But most of all – and most relevant to Kavanagh’s partisan innuendoes – is that the British economy was growing under Labour before the last election. Before the Tories formed a government in 2010, Labour had seen four quarters in a row of growth in GDP. 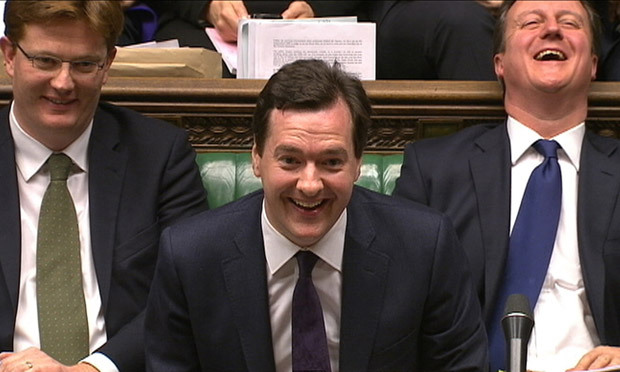 After George Osborne’s disastrous austerity budgets, the economy has only now recovered to these levels of growth. As for the deficit, it was at a historic low before the election, and was actually smaller than under the previous Tory government of John Major. The idea that the Conservative party saved us from a Greek-style crisis is the great lie of this election and the last five years. It’s little surprise to see a columnist for the Sun peddling it even now as readers head to the polls.